"Try the grey stuff, it's delicious!" 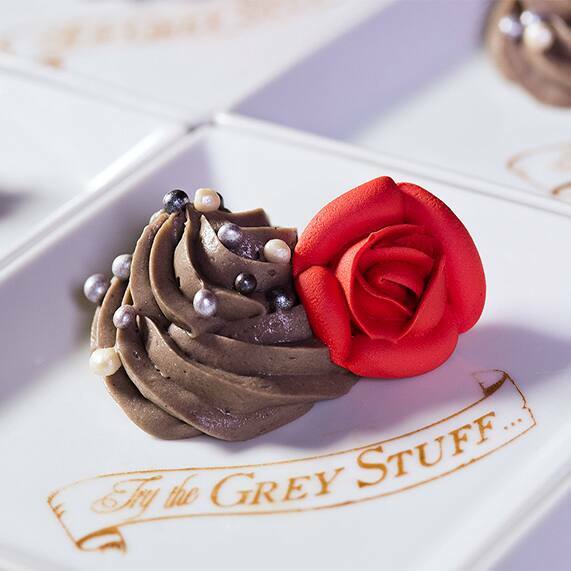 I will save you the time from asking the dishes and let you know that these treats, exclusive to Magic Kingdom's Be Our Guest Restaurant, are beyond delicious. 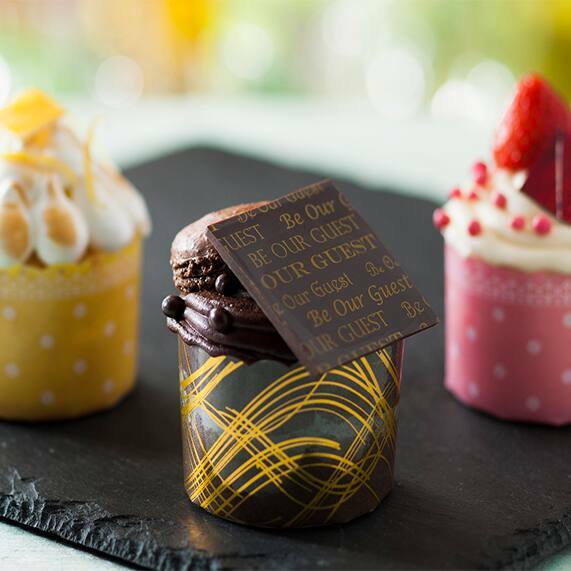 While we can't give away all the secrets, be sure to contact your Disney Wedding Planner for options to create your own Be Our Guest inspired cupcakes for your special day. After all, on your big day everything down to the icing on the cake should be custom to you!